Before mapping your subjects and authorising an app you must first download, install and configure the Assembly Connector. If you use the default Mathematics subject on CMIS (MA - Mathematics), then this has already been done for you and you can proceed to authorising an app. 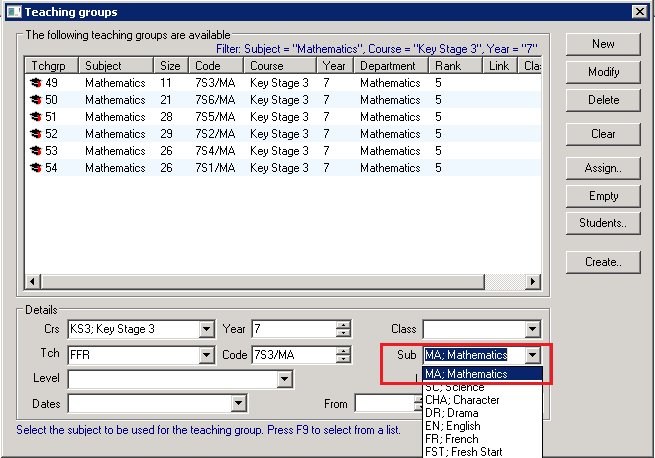 Mapping CMIS subjects to Assembly subjects allows you to pull teaching groups from a specific subject in to the Platform. If you want to map other CMIS subjects, you'll need to log in to the platform to map them to the appropriate Assembly subjects. At this point you may need to consult your data manager or someone with access to your MIS. Go to the Subject Mappings section and click Add Subject Mapping. Pick the subject you want to map from the Assembly Subject field. You will need to map these to the relevant subjects on CMIS. If you aren't sure of the subject code, the below section explains how you can find it out. 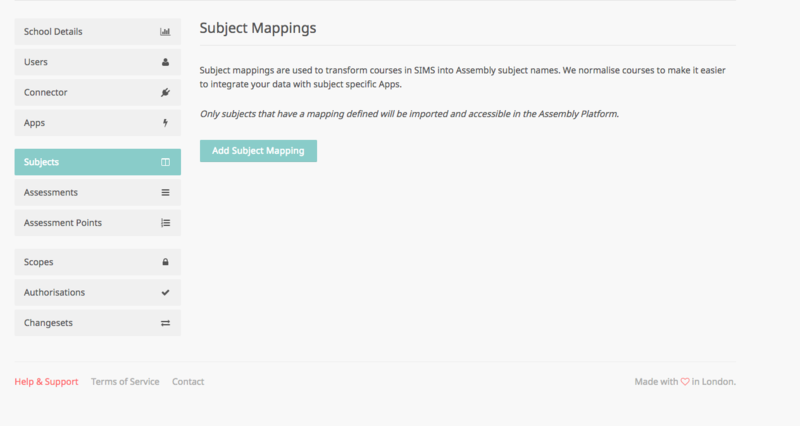 This subject can now be mapped to the Assembly subject on the Subject Mappings area of the Assembly Platform. 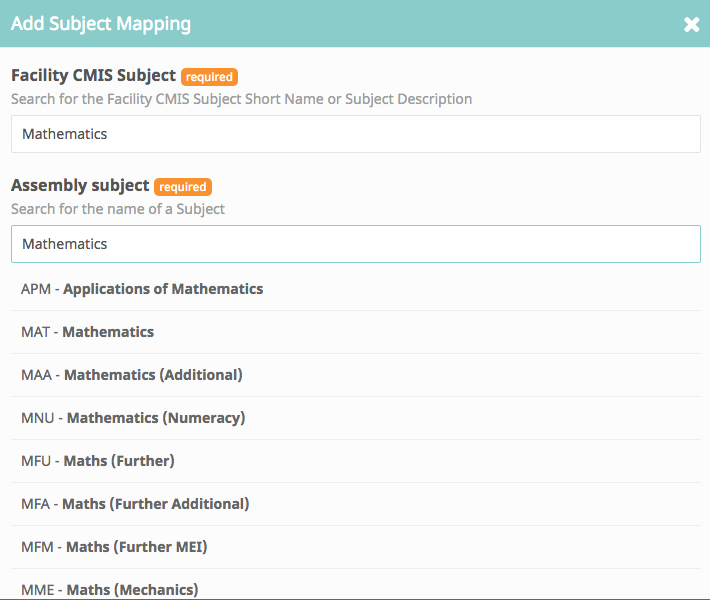 Multiple subjects from CMIS can be mapped to one Assembly subject, so repeat this process as many times as you need to cover all the subject codes and teaching groups you need. You're now ready to authorise an app.